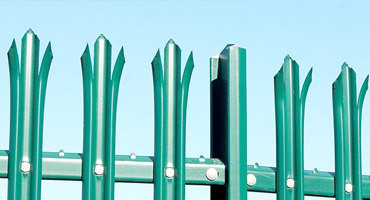 Our triple pointed, high security, steel palisade fencing comes in a variety of heights and strengths to suit the specific security requirements. Normal finish is galvanised but can also be powder coated in a variety of colours, to assist in blending in with particular environments or to match your branding. 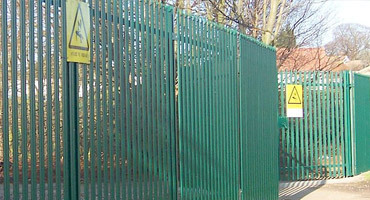 Our matching gates can be manufactured as sliding or swing and can be fabricated to suit any height and opening width. Finish: All steel work galvanised to BS EN ISO 1461 and option to Polyester Powder Coat. All fixings galvanised only. 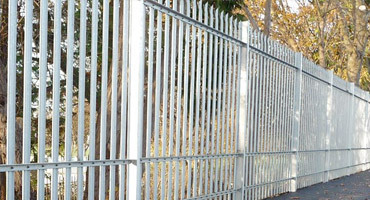 Our High security Steel Palisade Fence is quick and easy to install and comes in a variety of heights to suit your requirements. 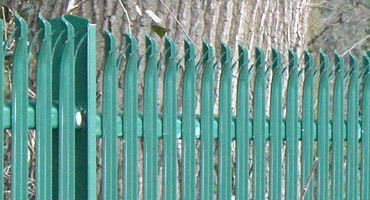 Our Railings offer an aesthetically pleasing solution to perimeter fencing where low to medium security needs apply. 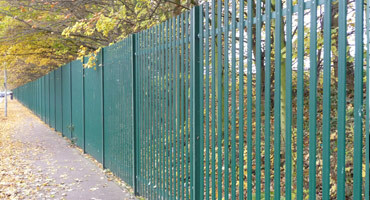 Our Steel Palisade – Ultra Fencing System is the first complete cold rolled Security Fencing System.